Most people these days don’t appreciate an unexpected visitor at your home. In the past, the sound of the doorbell triggered excitement as we welcomed a distraction from the monotony of the day. For most today, it seems to bring anxiety or dread or a well-meaning politician or religious devotee with literature and a promise in hand. On a recent trip, shame showed up unexpectedly at my door. I was leading a team of folks from our church and another church on a mission trip to Ukraine and Poland. It was an amazing trip and, considering all that can occur on an international trip, this one had been incredibly smooth thanks to great local contacts, solid preplanning, and a truly laid-back team. At the end of our trip, we traveled from Ukraine to Poland so we could tour the Auschwitz Museum, the former Nazi concentration/death camp. All but one had never been and we were looking forward to the tour – as much as one can “look forward” to such a heavy experience. The day had been long, with an unexpected five-and-a-half hour wait at the border to get into Poland. By the time we reached our hotel, it was around 11:30 pm. After getting everyone settled into their rooms, I decided to read through the museum website once again to prepare for the next day’s adventure. To my horror, I discovered a section I hadn’t seen before that mentioned prepurchasing tickets for the museum – something I had not done. You know that feeling when your airplane hits some turbulence and your stomach feels like it drops through a literal hole in the floor and descends at warped speed to the core of the earth? That is the feeling that hit me about 12:30 am in a dark hotel room in a little town in southern Poland. Knock, knock. – Shame was lightly knocking at my door. I had checked with three different sources prior to the trip about whether we needed to prepurchase tickets and all responded – No. You can just buy them at the gate. Someone needs to tell the website that because their message was loud and clear – you should buy tickets two months in advance. Wide awake now and in full prayer mode, I maneuvered to the English version of the site and found where you could purchase group tickets online. First available for a group of 8 with English guide? Sept. 30 – three days after we returned to the states. KNOCK. KNOCK. – Shame was rattling the locked doorknob, looking for a way in. Around 1 am, I decided to go to the lobby and plead for help from the front desk clerk, Magdalene. I could feel Shame follow me down the hallway. I explained my situation to sweet Magdalene and she understood. She had helped others with this and, after looking online, she verified that there appeared to be no English tours for the next day. But she did everything to reassure me that this was offseason and that she was 85% sure we would at least be able to get in. Usually, I like 85% odds. As I walked back to my hotel room, I could feel shame breathing down my neck, waiting to move into my heart, mind, and soul and consume me. I had brought these people all the way to this little town with the promise of touring Auschwitz. There was a chance that for many – this would be their only opportunity. It isn’t like it is on the way to other places or an easy commute from Missouri. I knew none of the team would be angry with me, but I also knew they would be greatly disappointed in missing this. Who wouldn’t? As we walked down the hallway, Shame was whispering the old, familiar lies into my ear – You are a failure. You let them down. You should have done better. They won’t love you anymore. When I arrived at my room, I had a choice. Do I let Shame come in? In the past, Shame had a key to my life and could freely come and go. Over the past few years, I evicted Shame and changed the locks. But that doesn’t mean Shame doesn’t still show up at my door, eager for an opening. At my room, I reminded myself of three things: 1) I had done due diligence. I had checked reliable sources multiple times beforehand and had made the best decision I could make based on that information; 2) There was nothing else I could do about it. We simply had to wait until the next day (or later that morning) and pray that God would provide a way in for our group; and, most importantly, 3) my value as a person was not determined by this potentially major mistake. I would feel badly about these folks missing out on Auschwitz. Absolutely. But I would choose not to believe I am bad because of my mistake. And with those prompts from the Lord, I entered my room, shut the door, and locked Shame out. I went to bed and intrusted the unknown – and my worth – to God. The next day I shared the dilemma with the team as we drove to the museum. They were outwardly gracious even if they were maybe inwardly anxious. When we arrived, the parking lots were crowded and lines of people were already formed outside the building. Shame was lurking nearby, but I had determined in the early morning hours that Shame would not write my story for the day. When I went to the ticket counter, I discovered with great relief that there were some English guided tours still available and one started in about 45 minutes – a perfect window to allow us to get tickets, use bathrooms, and go through security. When I had the actual tickets in hand, I got a little teary. I had been operating on hope all morning that things would work out and now I was holding confirmation that it did. And I am beyond grateful. It was a very moving and memorable day for all of us. You can view pictures here. But I’m hopeful that had there been no tickets available, I still would have locked shame out, choosing to know the difference between making a mistake and feeling like a mistake. the intensely painful feeling or experience of believing that we are flawed and therefore unworthy of love and belonging – something we’ve experienced, done, or failed to do makes us unworthy of connection. The only true antidote to shame is knowing where our worth really comes from and that is in God’s love for us. God’s love makes us worthy. We don’t have to hustle for worth or connection or validation. When Shame whispers lies or starts knocking on our door, we get to choose whether to listen and invite Shame in or whether to listen to the One who created us, delights in us, pursues us, and calls us beloved. 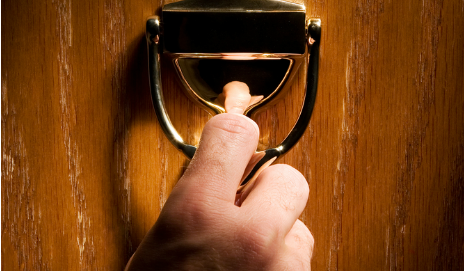 When someone knocks on your door, you get to choose whether you let them in or not. May God’s love and delight for you give you the courage to show Shame the door and change the locks. The same feeling I had in 2005 when a team member fell down marble steps at our hotel in Vilnius. We ended up in a Lithuanian clinic close by to take x-rays instead of the larger, more modern hospital about an hour away. Thanks to my being obsessive about travel insurance, he and his wife returned to the states for successful knee surgery under the care of the nurse who arrived on scene. I had gotten them food to the hotel room, made all the arrangements as instructed, had done my best to ensure safety to al. Yet, the shame of it happening hung and stung for a while because I was the leader and responsible for this team. Yes, this is our daughter, and our other one has been a schoolteacher, both private and public, for at least two decades. These two have served the public and cared for children and young people and their parents. Facing some challenges their parents never knew doing life, they have stayed the course. Dad – Thanks for teaching me so well over the years how to remain calm and lean into the challenges with integrity, grit, and patience. Wow—that kind of stress was just what you needed after a long, frustrating day. Sorry about your day and your night, but happy about how it worked out. Good article! Thanks, Susan! I was grateful, too! Beautifully written reflections on a lesson that is hard to learn. Thanks for modeling Brene Brown’s vulnerability so well. Thanks, Gary! Brene has a lot to teach us all.